Alphabetically, the first specialty in dentistry is Periodontics. So what does a periodontist do, anyway? 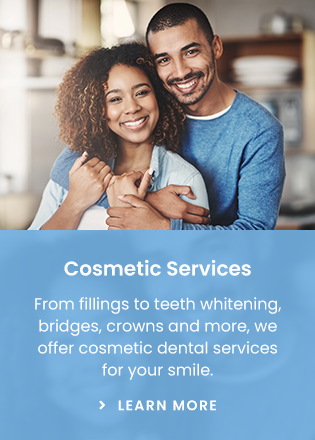 A periodontist is a dentist who has completed a recognized specialty program concerning the periodontium, which is the supporting structure of the teeth. Simply put, this person deals with gums and bone that are holding the teeth in place. The gums and bone are the structures that support the teeth. There are many conditions that can lead to reduction of the health of the gums and bone supporting the teeth. Some systemic diseases can cause breakdown of the gums and bone. However, the main job of a periodontist is to treat chronic periodontitis (inflammation of the gums and bone that support the teeth). Some of the older patients know this condition as pyorrhea. The basic process of periodontitis is that plaque (the soft white stuff on the teeth) is left in place long enough for it to turn hard. This can take a few hours for some patients or a few weeks for others. When the plaque turns hard it is called calculus (tartar). The bacteria that is in plaque dies once it hardens to become calculus. But don’t be fooled, the dead calcified plaque even though it is dead has a very rough surface which attracts new living plaque rapidly, which in time hardens and adds to the thickness of the calculus. The soft plaque on the surface of the calculus (tartar) puts out a weak acid called lactic acid. The gums are in contact with this calculus and plaque and the acid being released by the plaque. In time, the lactic acid from the plaque causes irritation of the gums in the immediate vicinity of the calculus. The immune system of the body sends in certain very powerful cells to fight whatever foreign body is causing the irritation in the area. However, the “killer cells” from the body’s immune system can only go where the blood system of the person reaches. The calculus on the teeth is not located where the bloodstream can reach it. The immune system keeps sending the “killer cells” to the area to destroy the foreign body that is irritating the gums with acid even though the acid keeps coming. However, over time the “killer cells” begin to break down the bone supporting the teeth. Only in the final stages is this process painful. The gums look enlarged and red while this process is going on. A toothbrush or floss causes bleeding on gums that are inflamed like this. Smoking makes the bone loss much more rapid during this process because it increases the level of inflammation. Once enough bone is lost (usually about half of the bone holding a particular tooth in place), then teeth start to get loose. The periodontist works at removing the calculus (which is often in some quite inaccessible places) and sometimes reshaping the damaged bone. Gums more than a couple of millimeters thick make home removal of plaque impossible below the gum line with regular home tools. Because of this, gums sometimes need to be thinned. The aim is to make it so that the patient can clean the plaque off every day so that calculus will not form. Calculus left in place causes bone loss. Plaque not cleaned off at home every day by the patient causes calculus. Technology is changing, but it is still possible only now and then to replace any bone destroyed in the way described above. The periodontist’s main job is to arrest (stop) bone loss caused by the disease process described above. Sometimes, the periodontist can rebuild bone and maybe technology will make rebuilding bone more reliable for a broader range of cases later. For now early diagnosis and treatment is the main way to keep periodontitis from permanently loosening the teeth. Many periodontists also place implants. I have talked about these before in this series, but an implant is a hollow screw that is placed in the bone in place of a tooth. Another screw is placed inside of the hollow screw that is the implant and either a denture attachment or a crown (fake tooth) is placed on top of the implant. This is a rapidly changing and improving technology. Implants are very effective and the technology is here to stay, but it is expensive. The periodontist places the implant in the bone and the general dentist (or prosthodontist--which we will talk about later) places the attachment or crown on top of the implant.